Getting the temperature just right in any living condition is a challenge. And just because you’ve managed to find the sweet spot in your climate controlled world doesn’t mean that everyone has. In fact, there’s always at least one person who is always, ALWAYS hot. 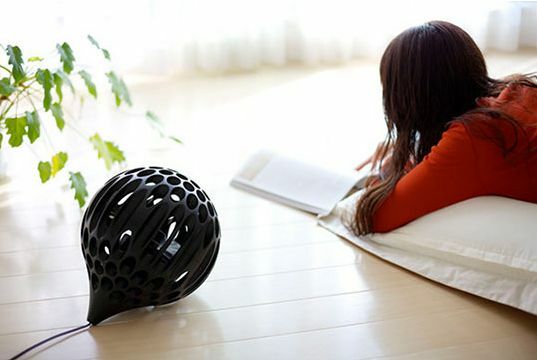 And if that person is actually you, then the Aero Sphere Tabletop Fan is just for you. Table top fans can be picked up from any store. There are ones that run on batteries and others that plug directly into your USB port. What they all universally have in common is that they look like fans. Which is to say, a utility device. The Aero Sphere is actually attractive, which is a nice change since it’s going to be right on your desk, day in and day out. Its good looks aren’t just for show though. The balloon like shape supposedly channels the air from the blades so that it travels further sharing the cool air with more area. So it’s both pretty and functional. 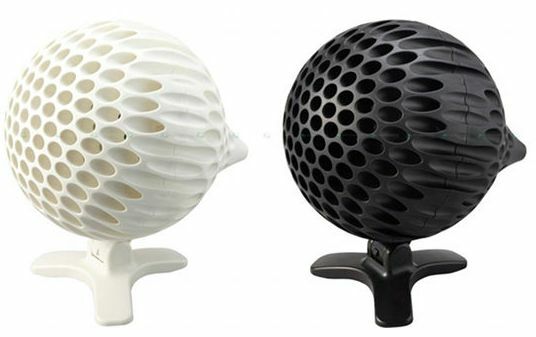 The Aero Sphere Tabletop Fan is $114 but watch out, shipping on this is killer.